1st Secondary boys worked together to invent their own video games in English class. They were so creative! Once they came up with a concept for the games they created a set of rules, characters, maps, and cover art. 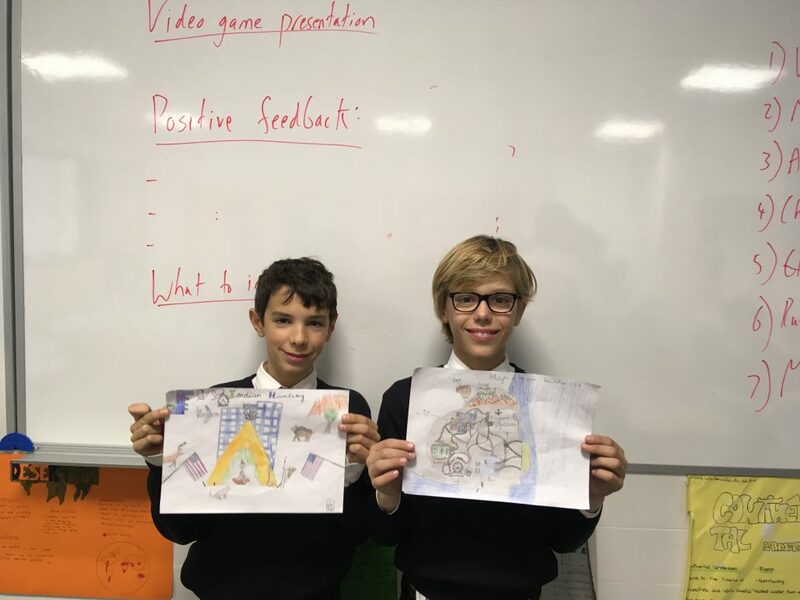 Each game was presented in front of the class and the boys had the opportunity to give each other feedback on what liked about the game or how it could be improved. The best part of this project was how well the boys communicated with each other in English! They showed great character in working together to create their games and in critiquing each other’s ideas.